Doctor Who Special is a magazine for all the fans of the TV series who want to know more about their favorite TV show! The quality of the content is unparalleled and this is reflected in the immense satisfaction of the readers across the world. Buy a single copy or subscription to Doctor Who Special magazine. The magazines are a part of every household and they have something or the other to offer to the people of every age-group; be it a baby or an elderly person. You will realize, once you pick up a copy that the content is world class and will be a lot more different than your average magazine. It is a magazine especially brought out for the teenagers and the young adults. The theme of the magazine is adapted from the hit detective drama TV series which is aired regularly on BBC entertainment. This issue is special in the sense that it is not just has a running story involving the characters of the hit television series but also gives out behind the scene trivia of the series. Apart from these features the magazine has quizzes, games and a lot of cool ideas to start a detective club of your own! 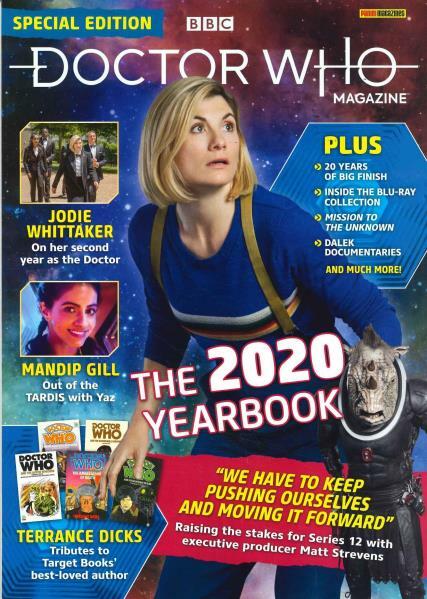 The interviews with the actors, director, technicians and others are an added attraction to the features that the magazine already possesses and is the perfect gift for any of your Doctor Who obsessed friends. The forums are extremely active and chatty regarding who they like or hate or what they want to change about the show. The magazine will no doubt make for a very enthralling read for you. When you feel bored and need a spark in life then pick up a copy of the magazine and get lost in the adventure of Doctor Who and all his exploits!